Guardian Eye Home offers a reliable, self-managed, home HD CCTV solution, that you can access remotely from anywhere, anytime, as long as you have an internet connection. A cost-effective, quality and reliable premises monitoring solution. Always keep an eye on your property. Includes all standard features for hard drive recording. Choose from continuous, scheduled, or event triggered recording with Smart playback. Choose from either the 4 or 8 indoor or outdoor camera solutions. Set your DVR to either record in Standard or High definition. See more details in the FAQ section. CCTV or Closed-circuit television is a video surveillance system that consists of Security Cameras transmitting live video feeds to a DVR unit. 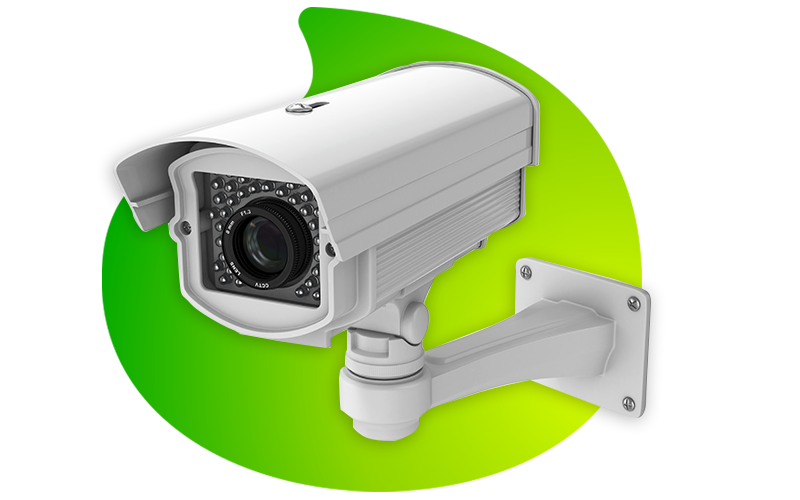 A Digital Video Recorder receives and records Video feeds from linked Security Cameras. You can choose from the options when to record (continuous, holiday seasons, or triggered events). Events are detected movement in the Camera’s field of vision. What viewing angles do the cameras support? Do I require an internet connection? If you want to log in remotely and view live Video feeds, then yes the CCTV solution needs to be connected to your home internet.